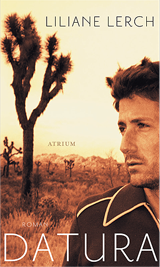 The journalist Emma de Antoni has just moved to the Mojave desert when she meets Jackson Carver at an antique store named Datura. There’s no place where Jackson feels more at home than in his independence. She learns of his love for her as she learns of his illness. Emma knows what she’s getting herself into when she embarks on his last adventure with him. Datura follows both Jackson Carver’s struggle for survival and that of a big love – the reader finds unexpected beauty in an unsparingly close look. This is a love that has to hurry up, and a love where life and death melt into as well as bounce off each other.